Are you fed-up from all those commenters who just leave useless comments for the sake of getting a backlink? Facts are facts, because almost 50% of daily visitors lands on a website to get a backlink. On the other hand, website owners usually ignore such comments, but they’re unaware of the fact that spammy comments could be deadly for them. Such comments could decrease the reputation of a website because it would become a heaven of SPAM commenting, where people check in with empty hands and leave with a hand full of backlinks. The solution of this mess is to formulate a Comment policy which protects all the rules and regulations which applies to each and every comment. 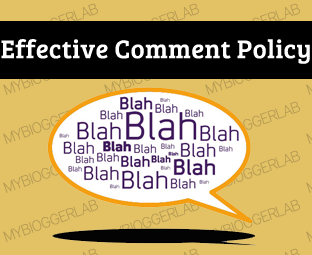 In this article, we will learn How to Create an Effective Comment Policy for your Blog. Why to Prepare an Effective Comment Policy? Comments are the core part of a website. This is the reason why one spam comment could make or break the reputation of a website. Consider, a person arrived on your site he left a useless comment with a backlink to his website. When other people will gaze that comment they will also repeat the same and the circle would keep on continuing. Ultimately, in the end, the page would be full of SPAM Commentaries. According to Google, any page that has tons of Out-Going (Backlinks) could be penalized. Therefore, it’s essential to have a policy that warns a user from leaving useless remarks. The ideal way of formulating an effective policy is to examine how your readers are behaving on your site. Once done, a person can formulate ideal rules and regulations. 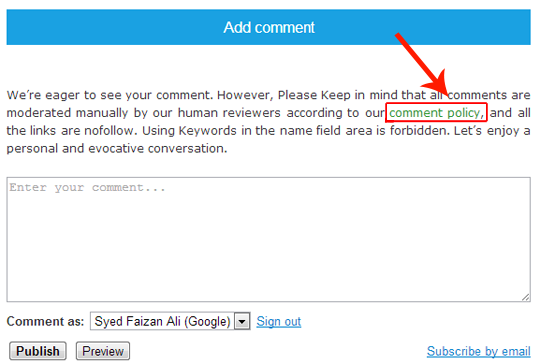 Similarly, we can apply the same thing while creating a comment policy. Consider the following Things. General Overview: A person may start writing his policy by doing a little introduction (overview) about his website (i.e. XYZ is an online publication that provides quality tips and tricks about XYZ services. Therefore, to provide user-friendly experience we have a policy about commenting). Moderation Policy: Now start writing your policies i.e. No Abusive Words Permitted, No Personal Attacks Permitted, Limited Linking, Avoiding off topic comments, Do Worthy Comments, Proper Commenting Name and etc. We have described them in detail. Consider the following moderation policies. 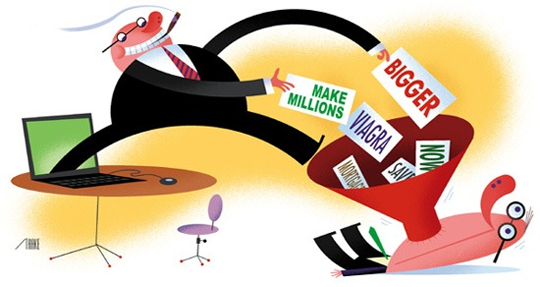 No Abusive Words Permitted: The basic need of any kind of policy is to protect users from others words. A blog is a paradise for learning not for fighting or using abusing language. No Personal Attacks Permitted: The second thing should be taken care of is to protect users from Personal attacks, because people often over reacts and start abusing each other for their personal issues. Limited Linking: The foremost reason behind creating a policy is to realize users that adding links in the comments is forbidden. However, sharing only useful links could be worth considering. Avoiding off topic comments: Sometimes unrelated remarks could kill the original topic. Therefore, it is essential to have a policy that protects it. However, users can still argue about it via sending personal emails to the blogger. Do Worthy Comments: Well, there is no reason why a person would post an unworthy remark, but sometime few users fail to take care of their grammatical structure. Hence, it’s hard to understand what it means. Hold Harmless: In the end, a person may declare that his organization has nothing to to do with the comments that are published on his site. The views shared by users hold their own responsibility. To learn more about a well-prepared policy don't forgot to check out Comment policy. It will help you to grab more key points. Once everything is done, you have to add the policy link just above the comment form so users can understand the rules and regulations before leaving their remarks. Consider the following screenshot to understand what we mean to say. Hope this guideline would help everyone to build a boundless relationship between users and bloggers. We need to take care of the humanity, not ourselves. Let’s keep our personal prejudices aside and work for a better collaborative community. What points we are missing in this policy? Suggest any improvement. Take care of yourselves till then, Peace, Blessings and happy observing. Simply Great!! Thumbs Up For You Dude!! Dude. Just one last thing for you. I know this website is very nice and informative, but I am a new blogger and I want advice from high bloggers like you and mbt. But you are so lost in your name and fame that you never provide any good reply to my questions. Recently, i asked you that how to you label you images with MyBloggerLab tag, but I never got answer for that. That proves that success makes a person either selfish or very nice. I am sorry to say, but you are selfish. Pardon me for any bad words. Well, Can you Please Tell me When I Didn't reply to any of your questions. I always try to have a soft tone and reply to each and every query that a person may have. I Could easily remove your all comments without even reply but I didn't because this whole site is running due to the readers who follow it. We Have Answered in Many Comments that we're using Photoshop to Tag images. Repeating the same answer again and again may appears to be useless. I am the one who write but You guys are the one who Make it a huge Hit. If you think I am Selfish then I can't do anything in it because you can't change a person personal Reviews. Well there is no need to say sorry because, if you think you are right. We don't need to prove anything to any one lets trust in our abilities and serve the humanity that's all we know! As far as i have observed, Faizan tries to reply everyone. If your comment is overlooked, he always welcomes you at his fb, skype or through GetHelp options.You should try these options in case he is busy and overlooked any query. If you think he is not giving good replies to 'YOUR' questions then you should review your tone and behavior.You are passing a judgment for no reason, which should be avoided as a decent reader. You would be surprised to see me but i want to say a big SORRY. I thought over 2 nights about this topic and I thought that it was my mistake. I should not be so rude, sorry for that. I love this site and want to continue my visits. Please dude, here's a favour I want from you. As you know that I have a website www.mypremiumtricks.com, I post quality and genuine content, still I don't get traffic. Please visit my site once and see it. No Problem Mate, We all do mistakes but its really great that you accepted that. I have visited your site many times. You're going in right direction. I would give you a suggestion to only concentrate on your content rather because it is the core element of your site. Don't do SEO nor anything else. Content is enough!